Last night I remembered that I bought these cheapo vintage glasses at a summer bazaar a couple years ago. I went looking for it and found them. Hahaha. I took the glasses out because they were scratched out like hell. 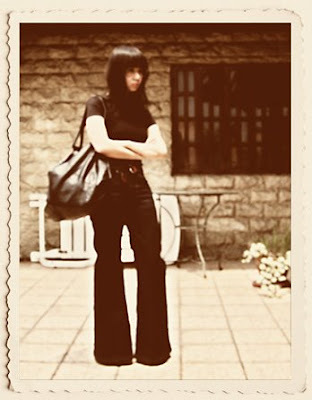 Looking at these pics I look like someone from the 70's. It's so cool! I like that look, I tried it out too but I can't do it too much since I'm so short and I'm still getting used to heels. Yeah the oxford flat shoes looked a little small so I might get a size up too. cooool! i love the 70's look. very old fashion yet so stylish! Beautiful last picture. 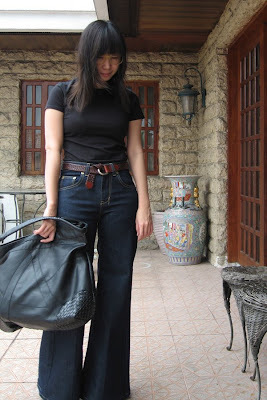 Sadly, I can't do a high waist, it's really not suiting me, but that jean is a wonder!